The best Madrid Guide for Gays & Friends. We are locals and passionate. 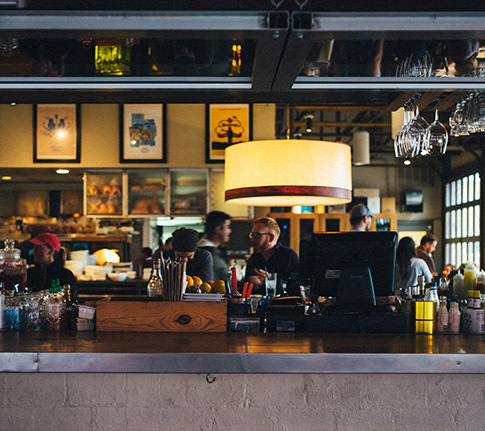 We select and review each listing, like the Michelin Guide does for restaurants. 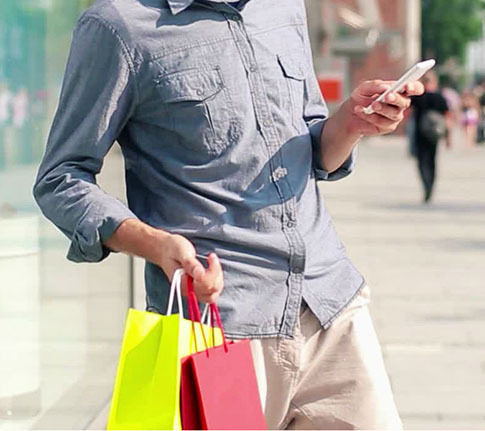 Connect to goMadridPride everywhere, it’s fully optimized for Mobiles & Tablets and it loads perfectly whatever your connection speed. All our Selected Places, Events & Experiences are presented on an interactive Madrid Map & dynamic listing. One click to preview, Two clicks to view. We review each Place, Event, Experience to give you a sincere local opinion about it, insider tips, secrets and more. As a local friend would tell you about Madrid. ¡Madrid Gay Pride 2018, WorldPride Madrid 2017 & EuroPride Madrid 2017: what a success! ¡Madrid Gay Pride 2019 coming! Our favorites Hotels & Apartments in Madrid. From economic “hostal” to ultra luxury 5*GL Hotels, from studios to penthouses, we select for you only gay and gay friendly places, always well located and of quality. Some of you will love staying in Centro, Chueca o Malasaña where thousands of gays walk by day & night. Others will prefer being based in an upscale and quiet Madrid district such as Chamberí o Salamanca. And some of you will choose popular & authentic Madrid’s neighborhood minutes from Chueca like Lavapiés, La Latina o Argüelles. Explore goMadridPride selection of Hotels & Apartments in Madrid. Goodnight! We live in Madrid, and we love to explore our city to Eat & Drink in the best places and to discover new places. 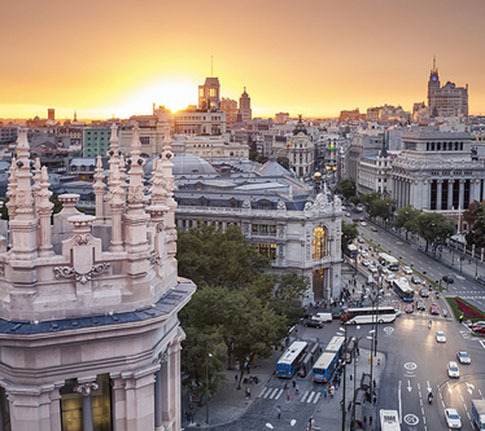 Did you know that Madrid has 15,000 bars and restaurants, one for every 211 inhabitants? Spain is the country with the most places per capita in the world. Expect to find bars and restaurants at every street corner in Madrid. It can be very difficult to identify the good ones and avoid the worst ones. That’s why we never stop exploring Madrid for you and we commit to present you the best things to do, the best places to go. Browse goMadridPride selection of Restaurants & Bars Cafés in Madrid. Cheers! Madrid’s Nightlife is legendary. Going out at night in Madrid is a way of life for everyone. 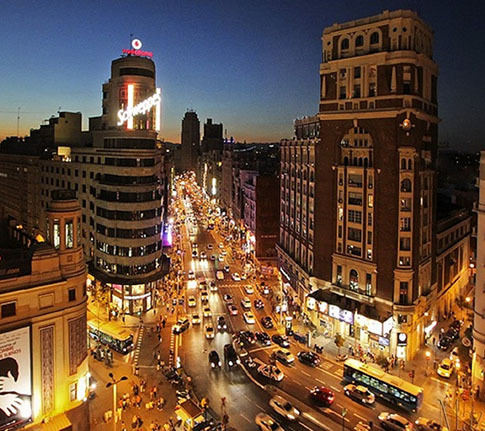 The offer of Places & Events is wide: Disco Bars, Clubs, Parties, Saunas, Cruising, Cinemas, Musicals… Madrid has it all. Madrid is a very safe city compared to many other cities in the world. You will be impressed to see so many people walking along the Gran Vía until 7:00 in the morning. Madrid never sleeps! Shops close at 10pm, many supermarkets and restaurants are open 24 hours a day, parties never stop. Discover the goMadridPride selection Madrid by Night. As every major capital, Shopping in Madrid is fabulous. Most shops open 7 days a week, from 10:00 to 22:00. Each neighborhood has its own spirit: Salamanca for luxury brands, Chueca for Gay urban brands, Centro & Puerta del sol for century-old establishments that have seen the birth and growth of more than three generations of Madrid’s citizens, Lavapiés and Letras for art galleries and flea market (called “el Rastro”). Which Hair salons & Barber shops are Gay & Friendly in Madrid? Which Gyms are popular in Madrid? Where can you find luxury brands with discounts? Enjoy our goMadridPride selection of Shops & Services in Madrid for Gay visitors, Gay locals & Friends. Madrid also boasts 3 UNESCO world heritage sites, 40 minutes drive from the city center: San Lorenzo de El Escorial, Alcalá de Henares and Aranjuez. Also lots of Royal sites, like the Royal Palace of El Pardo. These sites are unforgettable, hope you’ll have the time to visit them all! See the goMadridPride selection of Art and Leisure in Madrid. 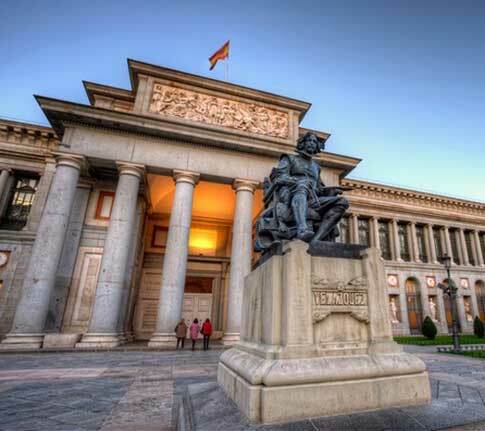 Do you like our Madrid Guide for Gays & Friends?